The lightest of our water filled barriers, each section of the Evo 55 Barrier system weighs only 8 kg making it the easiest water filled barrier to move and assemble. Each barrier has a length of 1 meter, height of 0.55 meter but can have a height of 1 meter when fitted with posts and rails and a width of 0.40 meters. The Evo 55 Barrier is specifically targeted at lighter traffic delineation, where a visible safety barrier is paramount and standard traffic cones simply aren’t enough. 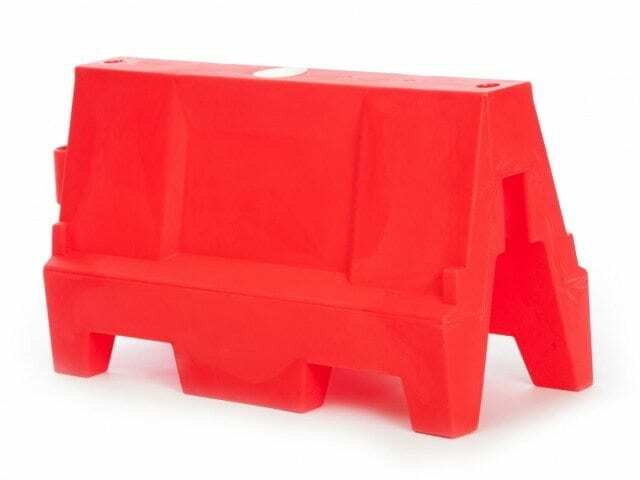 Weighing 28 kg when water filled theses highly visible traffic barriers are sturdy and secure once installed. Interlinking units allow for both straight and curved configurations, enabling you to mark out an exact route as required. 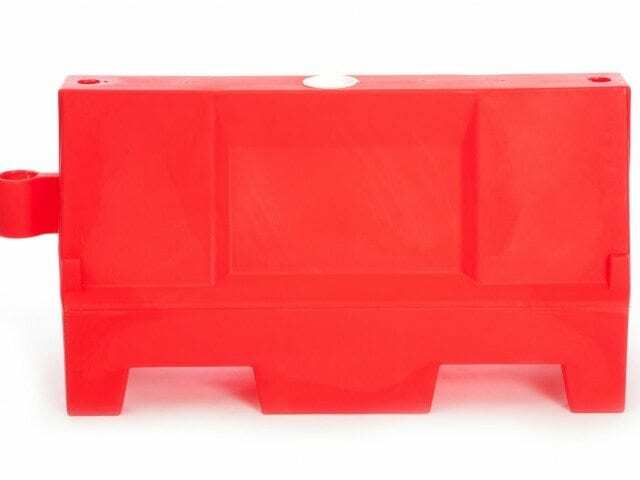 Supplied in highly visible alternate red and white colours, the 1 meter Evo 55 Barriers can be enhanced with bright red and white reflective rails which have been purposely designed to fit securely to the barrier. The reflective rails are a great addition to the water filled barriers for both traffic and pedestrian situations. 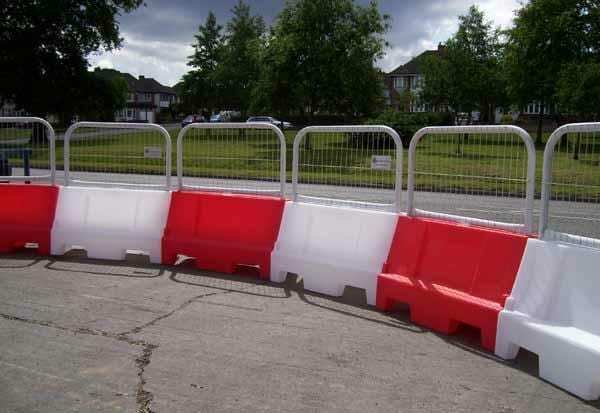 Water filled barriers such as the Separator 55 Barrier have revolutionised the safety of Britain’s towns and cities when it comes to protecting both pedestrians and drivers from the hazards of ongoing repairs to roads, walkways and buildings. 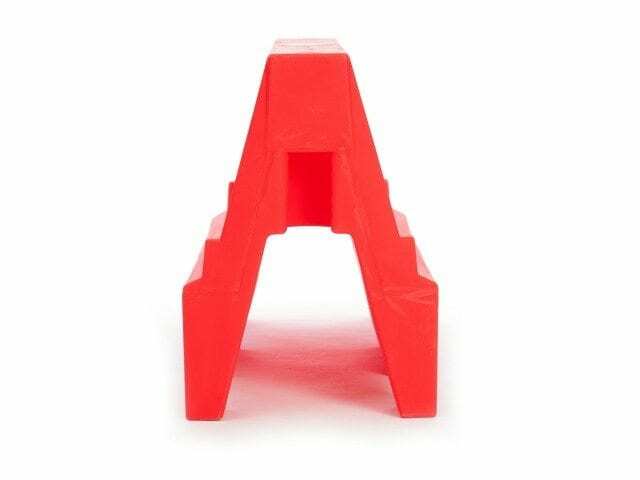 Their innovative lightweight design allows them to be easily moved and stored as required, whilst still providing a safe and sturdy barrier when installed. The tamper proof plugs on all our water filled barriers ensure that they do not fall victim to vandals, and their construction materials ensure that the barriers do not deteriorate over time no matter what weather conditions that are subjected to. PAL Hire offers a wide range of water filled barriers, from the lightweight Evo 55 Barrier to the crash tested Rhino Safety Barrier. We offer a UK wide fast delivery service. Call us today to discuss your requirements.